Lenny Wu (blog/Twitter) is a weekly radio host at CKCU-FM and blogs about the indie music scene, as well as a bit of food and silly things. He’s an avid Apple user (minus the iPhone as he doesn’t have one yet). Lenny is also part of a local lion/dragon dance troupe. The Ottawa media landscape has seen a lot of changes recently, and radio stations now have formats ranging from blues, light rock to whatever other kind. There’s a sense that the traditional radio station is still thriving, even as it competes against the Internet and digital downloads. One of the unseen heroes in the radio realm is campus community radio. As some people may know, I host a general music show, Wild Works, at CKCU-FM at Carleton University (Wednesdays at 11 a.m. and also posted later on my blog). My motivation to become a radio DJ began in the 1990’s when I listened to Energy 1200 and KOOL-FM but my motivation shifted with the advent of Internet when I decided to listen to international radio stations coming everywhere from the UK to Hong Kong. When CBC Radio 3 started to play Canadian independent music in 2007, I realized that campus community radio had been playing those artists all along. Getting into local radio got me passionate about the Canadian indie music scene. The unique part of campus community radio is that we’re not being dictated by commercial radio. 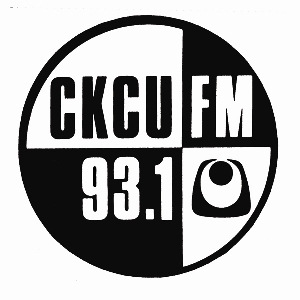 Still, CKCU relies on student levies, sponsors and an annual funding drive (in late October to early November), as the station more is listener-supported compared to the CBC, which is a public broadcaster. Stations like Hot 89.9 and Majic 100 are commercial and private stations. Since CKCU-FM is a free-form format, there’s always a sense that the hosts showcase music they truly love and are passionate about. Aside from my own radio show, shows like Whatever’s Cool With Me (hosted by Ryan Bresee, Thursday 9:30 a.m to 12 p. m.), Now Playing on CHUO 89.1 FM (hosted by Emma Godmere, Wednesday 12 to 1 p.m.) offer the best in Canadian music. As for ethnic programming, there is An Indian Morning, a Persian program, a Somali program, etc. For anyone that likes alternative and rock music, there’s a show called Friday Night Derailment, which airs 10 p.m. to 12 a.m. on Friday. For hip-hop, rap and soul, Fundamentally Sound from 12 to 2 p.m. on Thursdays. Since it’s the Summer, CKCU-FM has radio camp for kids aged nine to 12. They get to become radio stars as they learn how to record and edit audio and learn what happens behind-the-scenes at a radio station. On the final day of radio camp, the kids go live for two hours. If you’re curious about Ottawa radio, show your support for campus community radio as there’s a diverse choice in music and cultural programming that everyone will enjoy. Thanks for sharing your knowledge of campus community radio with us, Lenny! Have you ever tuned in to any of these radio shows? Don’t forget that you can listen online as well as on the airwaves at 93.1 FM. Great post, Lenny! I’m a big fan of campus and community radio, and CKCU does a great job.